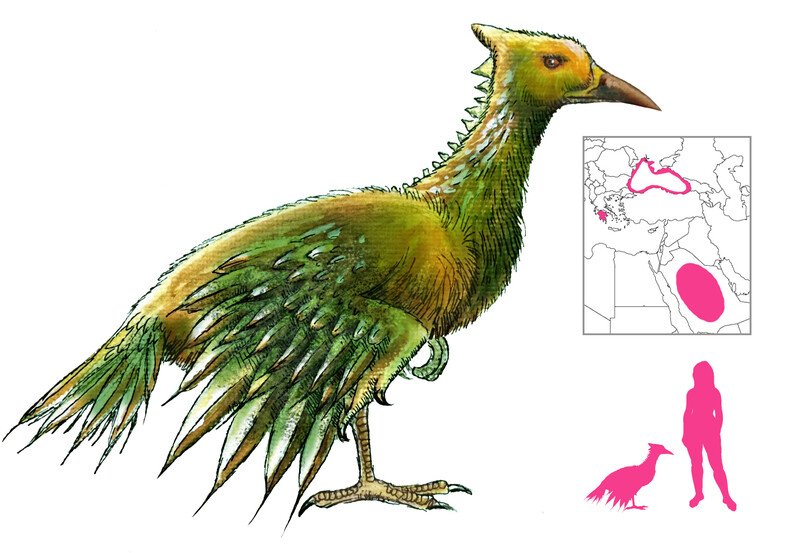 Pausanias theorized that the Stymphalian birds originated in Arabia, citing the presence of fierce desert birds known as the Stymphalides. He then admits that the population found at Stymphalos, in Arcadia, may have been the result of a few wayward birds making their way into Greece. Following this line of reasoning, Pausanias deduces that they earned the name of Stymphalides due to their fame in Greece, and the name then supplanted whatever name they originally had in Arabia! The appearance of the Stymphalian birds is no less muddled. Their most feared weapon is the sharpened, pointed tips of their wing feathers, which they fling like darts to stab their prey. Sometimes their feathers and beaks are made of bronze or iron, the better for piercing armor. 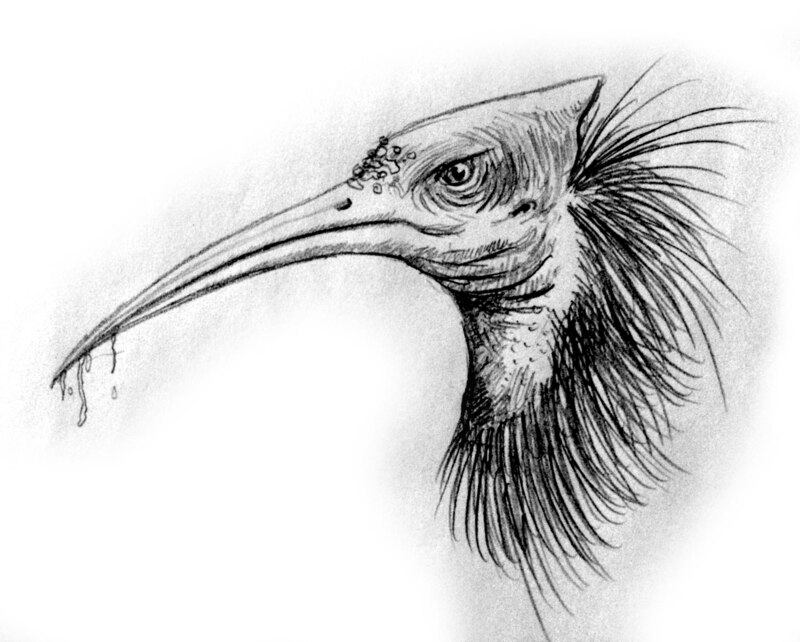 Pausanias described them as about crane-sized, but resembling the ibis in shape, but with a stronger bill; elsewhere he says they are like hawks or eagles. In Greek art they have been represented as ibises, swans, and other such waterfowl; at least one obol from Stymphalos shows a bird with a short crest and a stout, powerful bill. Finally, no doubt influenced by tales of harpies and sirens, the temple of Stymphalian Diana also has stone statues of virgins with birds’ feet. It remains true that the Stymphalian birds were first and foremost associated with Lake Stymphalia. They terrorized the region, ravaging crops, killing people, and poisoning the ground with their dung. 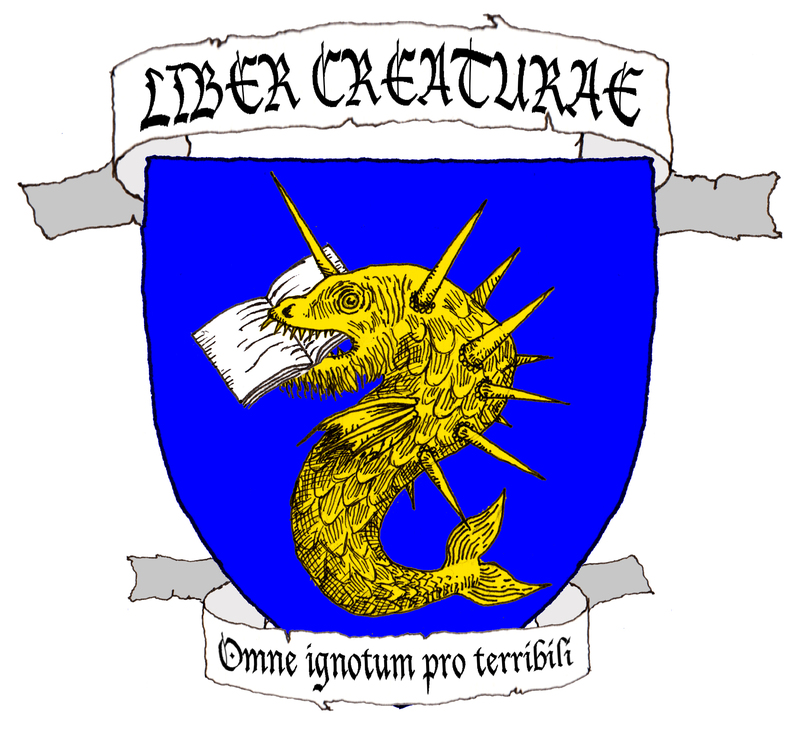 Fox suggests that the legend originated as a glamorization of a plague or pestilence rising from the marshes, which would explain their noxious qualities. While their feathered darts could pierce armor, they were powerless against a certain type of tree bark, which held them fast like quicklime. There was only so much bark to go around, though, and the birds seemed numberless. It was this scourge that Heracles was sent to destroy. As his sixth labor, it was one of a list of impossible tasks, and indeed the vast numbers of birds seemed beyond the hero’s strength. Heracles got around this by exploiting a simple fact – despite their numbers and ferocity, Stymphalian birds were as easily spooked as sparrows. Fashioning a pair of bronze castanets, he made such a din that the flock took off in a panic; from there he shot a great number down with his arrows, while the remainder of the birds flew off and were never seen in Arcadia again. That was not the end of the Stymphalian birds, as from Greece they made their way to the Black Sea and populated the Island of Ares, where they became sacred guardians to the god of war. It was this flock that Jason and his Argonauts encountered on their way to Colchis. While the birds of Ares managed to wound the Argonaut Oileus with a feather projectile, they were scared off once more by the noise of rattling bronze armor, but not before pelting the Argonauts with a hailstorm of feathers. Ames, D. trans. ; Guirand, F. (1963) Greek Mythology. From Mythologie Generale Larousse. Paul Hamlyn, London. Apollonius, Coleridge, E.P. trans. (1889) The Argonautica. George Bell and Sons, London. Fox, W. M. (1964) The Mythology of All Races v. I: Greek and Roman. Cooper Square Publishers, New York. Pausanias, Levi, P. trans. (1979) Guide to Greece, volume 2: Southern Greece. Penguin Books, London.